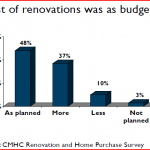 According to CMHC’s Renovation and Home Purchase Survey, an estimated 1.7 million households in surveyed centres performed some form of renovation in 2011. 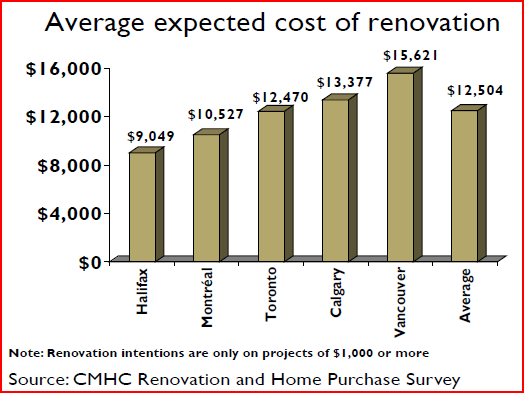 This represents a slight decrease from 1.9 million in 2010. 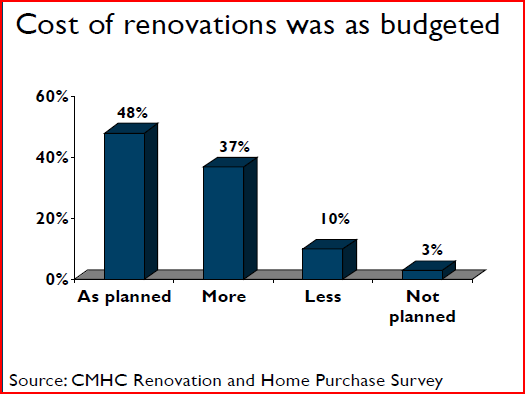 Thirty-seven per cent of homeowner households across the surveyed centres completed renovations in 2011, down from 42 per cent in 2010. 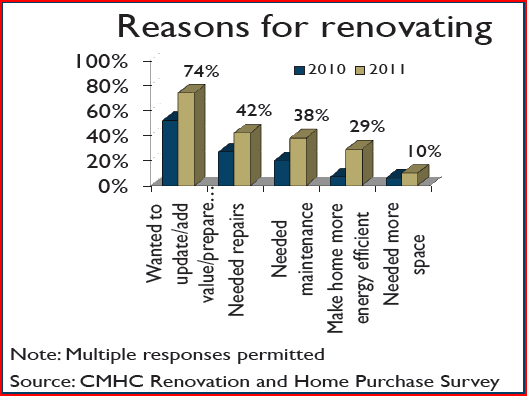 The main reason reported by households across all ten centres for renovating in 2011 was that they wanted to update, add value, or to prepare to sell their home (74 per cent of renovating households), which was also the main reason reported for renovating in 2010. 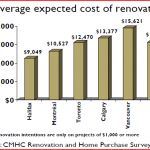 The second most popular reason for renovating was that the dwelling needed repairs (42 per cent). 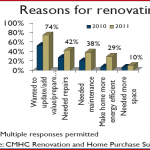 Twenty-nine per cent of renovating households said they wanted to make their home more energy efficient. 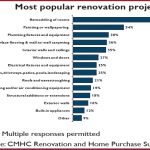 Among households that renovated in 2011, 35 per cent contracted out all the work, 30 per cent contracted out some of the work as well as engaging in the work themselves, 29 per cent did all the work themselves or with friends and family, while 5 per cent bought the materials and contracted out the labour. 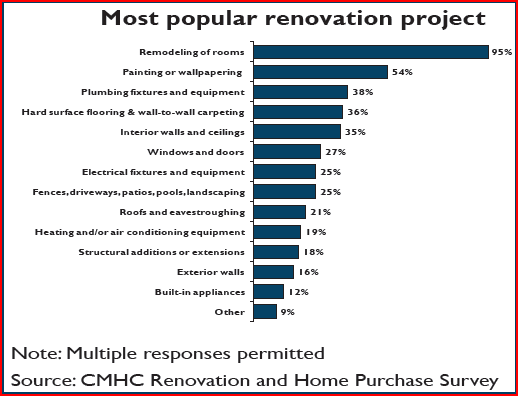 Approximately 81 per cent of respondents were able to complete the needed major repairs. Eighty-three per cent of respondents had a written contract for the work, while 14 per cent did not. DCR Renovations | Powered by Mantra & WordPress.